As this year’s music festival season comes to a close, Southern California is graced with yet another music filled weekend. 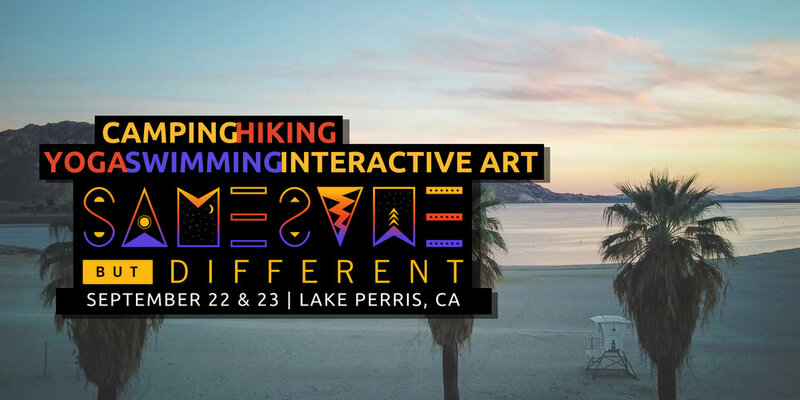 Same Same But Different, taking place 90-minutes east of Los Angeles and San Diego at Lake Perris this weekend September 22nd and 23rd, boasts much more than just music. They’ve got “camping, hiking, yoga, swimming, and interactive art” planned for the weekend as well. With headliners Lettuce, The Floozies, and Boombox, the festival is bound to attract more free spirited and dance-loving festival goers, which should make for a fun and open experience. Other musical artists include Dirtwire, a country/dance fusion group that includes members from Beats Antique, and LYFTD, the Colorado-based electro-funk group. And although the music ends at 2:00AM both Saturday and Sunday, the dancing will go all night, with a late night dance party beginning right after the fest’s final headliner sets. The visual artists whose work will be featured throughout the festival include Hannah Rowan and Krystal Dyer. Yoga and mindfulness workshops will also be taught by leaders in the community. It will be very interesting to see how having a lake in the middle of the grounds shapes the festival. It is very likely that most of the attendees will be taking it easy on the beach or in the water during the performers that they may not know as well, making this festival a great combination of a party and a relaxing vacation. Bolder Beat can’t wait to attend this festival this weekend to get the inside scoop on what Same Same But Different Festival has to offer, and we are confident it will not disappoint. Tickets still available here.